Continuing westward, this image shows Mt. Sharp just east of the highest peak of the deposit. 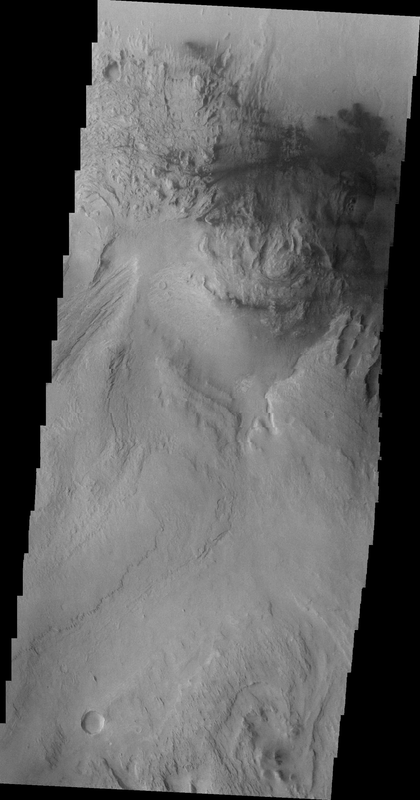 The dark material near the top of the image is likely sand. This image shows the dark material on the floor as well as on Mt. Sharp.